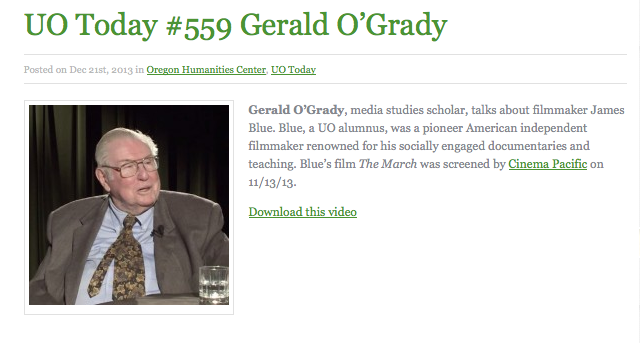 Gerald O’Grady talked with Paul Peppis of the Oregon Humanities Center the day he visited UO to introduce “The March” and launch the James Blue Tribute in Cinema Pacific’s Schnitzer Cinema series. 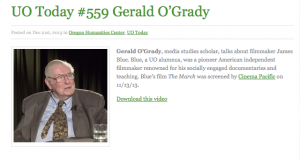 The Tribute to James Blue, curated by Richard Herskowitz for Cinema Pacific’s Schnitzer Cinema series, began with a visit by Gerald O’Grady with “The March” in November, 2013. 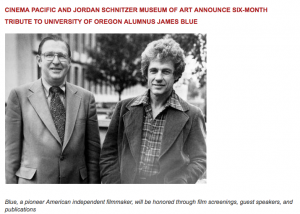 This Schnitzer Museum press release announced that the series would culminate in April, 2014 during the annual Cinema Pacific film festival in Eugene and Portland. 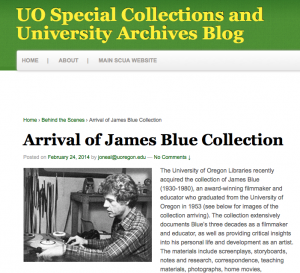 Elizabeth Peterson, curator of moving images for UO Libraries, wrote this blog post in February, 2014 describing and featuring images of the arrival of the James Blue Archive at the University of Oregon. Suzanne E.W. 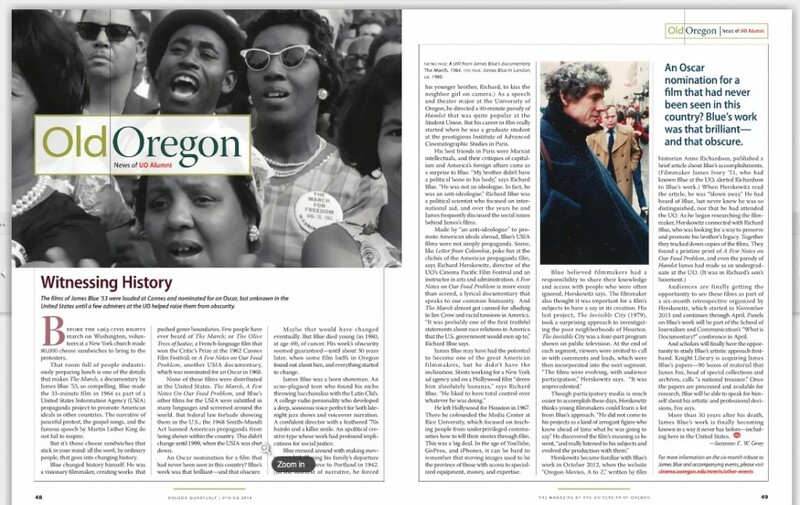 Gray writes for the Oregon Quarterly’s Spring 2014 issue about the rediscovery of James Blue, University of Oregon ’53 alum, at the University of Oregon today.